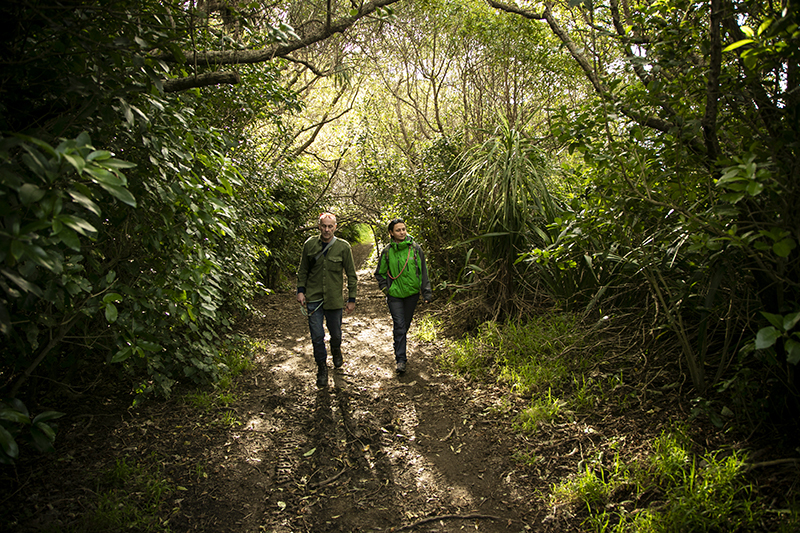 Manawa Karioi Ecological Restoration Project is one of Wellington's oldest reforestation projects and is on land that is part of Tapu Te Ranga Marae in Island Bay. Tapu te Ranga Trust had a large plot of land that was primarily gorse, blackberry and grass, the vision was for a 'bird and bush reserve'. Manawa Karioi Society Incorporated was formed in 1990 to manage the project and the first seedlings were planted in 1991. Now, 26 years later, much of the site is covered in native bush with the abundance and diversity of native plants and animals continuing to increase. To restore a forest ecosystem to the land managed by the Society which is similar to that which existed there immediately before human arrival. To apply the principle of kaitiakitanga, or stewardship, in the care of the land. To establish a partnership of Maori and Pakeha in achieving the objects of the Society. To foster community involvement in the Society’s activities by encouraging individuals and groups to use the land for activities such as recreation, education, health improvement and cultural activities at the discretion of the Committee. To encourage in particular the involvement of children in the Society’s activities. To develop and manage other areas of land within New Zealand for the objects listed above, should the opportunity arise. To support organisations in New Zealand with similar or compatible objectives. We are delighted that our August working bees are full with keen volunteers. We are limiting numbers to 15 people per planting session. Please sign up to our email list if you would like to be notified of our planting days and any other special events related to our project.